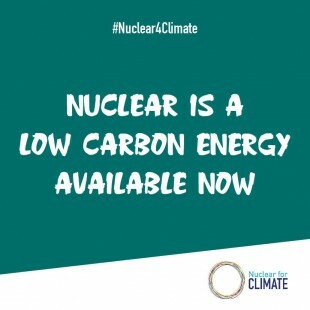 On March 14, Japan’s Federation of Electric Power Companies (FEPC) reaffirmed its intention to use the plutonium generated during the reprocessing of spent nuclear fuel as mixed uranium-plutonium oxide (MOX) fuel at sixteen to eighteen nuclear power plants (NPPs) nationwide. The Japan Atomic Energy Commission (JAEC) is currently reviewing Japan’s official basic policy on the utilization of plutonium. In that context, FEPC’s Norio Atsumi made a presentation on the matter to JAEC. Under the basic policy, Japan’s electric power companies are required to release their plutonium utilization plans, including the names of plutonium holders, amounts and specific purposes of utilization. FEPC’s Atsumi explained to JAEC that the issuance of a plan was on the premise of restarting NPPs, but that there was little immediate prospect for that under current circumstances. He said that the FEPC would submit an [integrated] plan when the completion of the Rokkasho Reprocessing Plant becomes more certain. Among the six NPPs have already cleared examinations by the Nuclear Regulation Authority (NRA) of Japan to confirm compatibility with new regulatory standards and resumed operation—including the recently approved Ohi-3 NPP, owned and operated by the Kansai Electric Power Co. (Kansai EP)—three are MOX-fueled reactors: Kansai EP’s Takahama-3 and -4 NPPs, along with the Ikata-3 NPP, owned and operated by the Shikoku Electric Power Co. The Genkai-3 NPP, owned and operated by the Kyushu Electric Power Co., will also resume MOX-fueled electricity generation when it restarts. According to Japan Nuclear Fuel Ltd. (JNFL), its Rokkasho Reprocessing Facility should be completed during the first half of fiscal year 2021 (April to September 2021). 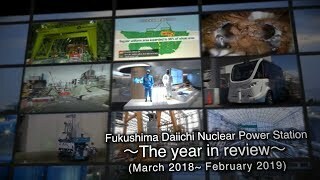 In January, JAEC expressed its general stance toward reviewing the basic plan, saying that it would be necessary to reduce the amount of plutonium held by Japan over the long term. At a meeting on March 14, however, JAEC Chairman Yoshiaki Oka suggested the need to consider a mechanism whereby power utilities would accommodate each other in regard to their plutonium. Responding to a question from a reporter about that matter, FEPC’s Atsumi replied that the matter was still at a difficult stage, in light of efforts by individual power utilities to bring about quality assurance, local understanding, and the like.